How To Live The Life You Know You Deserve. You are actually a three dimensional being, and it’s a sad fact that most people have limited beliefs, spending their lives not knowing this fact. It’s not too late for your to realize that there’s more in life than all the material things, the skin, bones, and meat that you see. It is time for you to know that you can truly begin living your life in a much broader perspective. There’s an amazing inner world existing beyond what you can actually see with your eyes. This world contains all essential things such as resources, power, wealth, and the real meaning of your existence. It is a work that allows you to live your life fully, live large, do and be anything you want. The problem is that this line seems very common but in fact lots of people are unaware of it. Abundant living comes when you live to give. Remember, one of the secrets of living abundantly is ‘The Art Of Giving’. Don’t let the spirit of fear hinders you from giving. 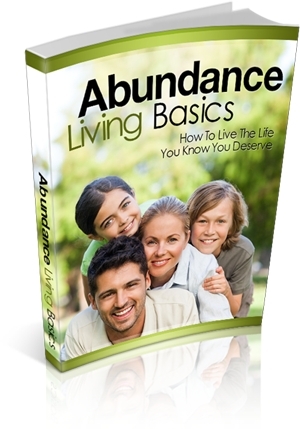 You can actually give abundantly for you to live abundantly. Share. Consider abundance as an energy flow. Once abundance reaches you, don’t keep it all to yourself instead share it to other people and make it flowing.